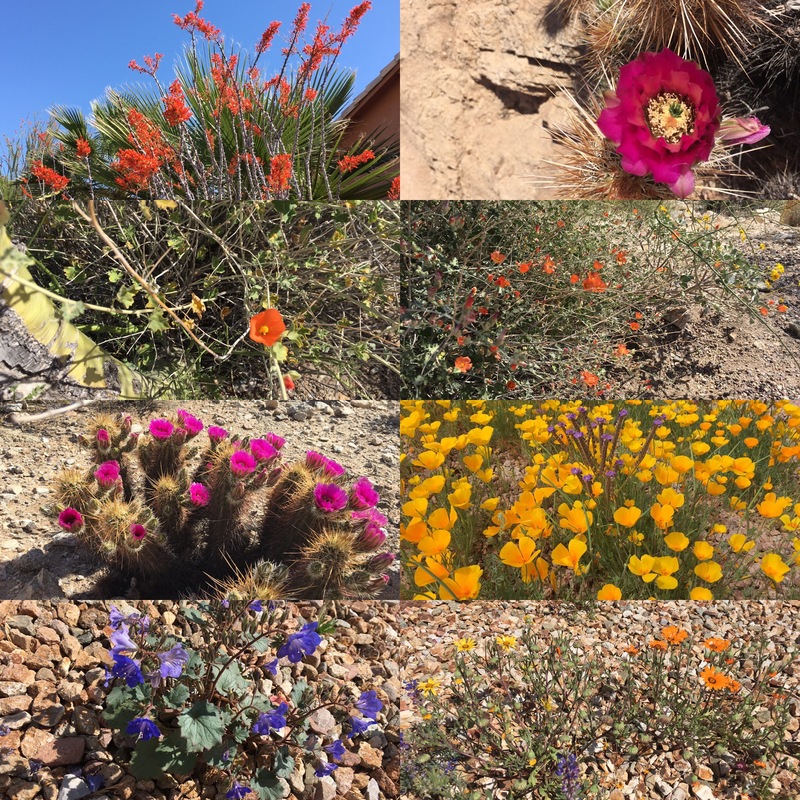 I wanted to get a quick note out about the WILDFLOWERS of desert. While out walking my dog I noticed it is once gain “wildflower season” in the desert of Phoenix. We have had a significant amount of rain this year so I knew springtime would be beautiful. It is my mom’s favorite time of the year. And she is the one that got me into looking for Arizona native wildflowers. Most people think of the desert as dry brown with cactus. And it is. But in the spring there is a very small time window of only 2 weeks where the desert can become bright and beautiful. Sonoran desert flowers all depend on the amount of rain the area gets during our winter. We had a series of El Niño storms in January that brought a significant amount of rain so the desert is really in bloom. ⟵Why Do Dogs Digs Holes?